My World History classes are in the midst of our unit on revolutions. We just completed a role play on the French and Haitian Revolutions. I love having my students examine ideas of change and possibility as they simultaneously question and problematize the broader definition of a revolution. This week I’m looking forward to seeing students immerse themselves in the developments of the Arab Spring. Students will evaluate Gene Sharp’s 198 Methods of Nonviolent Action. Films like The Square and Uprising do an excellent job conveying the power and commitment of millions who demanded change in Egypt. 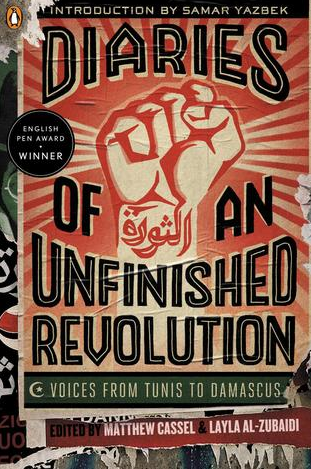 Diaries of an Unfinished Revolution presents excellent first-hand accounts of participation in different revolutions and also raises important questions about the future of the Arab Spring. Next week students will begin to create Digital Stories that will be a guide to revolutions. I’m thankful for teaching and learning that remind me and my students to see the world in new ways and to re-open our minds to what is possible.